Even the present public option–Medicare–is very expensive to those covered. Basic Medicare is insufficient coverage. Part B has been added, for which about $100 per month is deducted from the covered person’s Social Security check. If the person is still earning or has other retirement income, an “income-related monthly adjustment” is also deducted as part of the Part B premium. And if the person is still working, his earnings are subject to the 2.9 percent Medicare tax. Even with Part B, Medicare coverage is still insufficient except for the healthy. For many people, additional coverage from private supplementary policies, such as the ones sold by AARP, is necessary. These premiums can be as much as $277 per month. Deductibles remain and prescriptions are only 50% covered. If the drug prescription policy is chosen, the premium is higher. 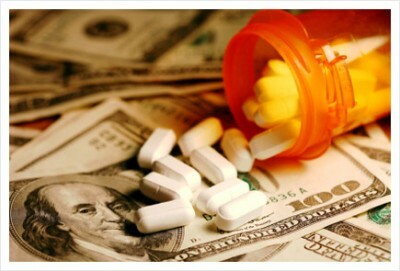 This leaves a retired person on Medicare who has no other retirement income of significance paying as much as $4,500 per year in premiums in order to create coverage under Medicare that still leaves half of his prescription medicines out-of-pocket. Considering the cost of some prescription medicines, a Medicare-covered person with Part B and a supplementary policy can still face bankruptcy. Therefore, everyone should take note that a “public option” can leave people with large out-of-pocket costs. I know a professional who has chosen to continue working beyond retirement age. His Medicare coverage with supplemental coverage, Medicare tax, and income-related monthly adjustment comes to $16,400 per year. Those people who want to deny Medicare to the rich will cost the system a lot of money. Debate focuses on subsidiary issues, because Congress no longer writes the bills it passes. As Theodore Lowi made clear in his book, The End of Liberalism, the New Deal transferred law-making from the legislative to the executive branch. Executive branch agencies and departments write bills that they want and hand them off to sponsors in the House and Senate. Powerful interest groups took up the same practice.